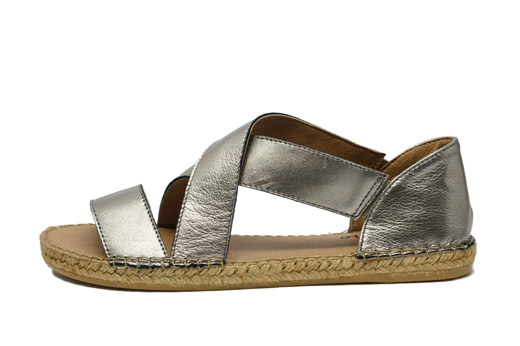 The Beach sandals in Pewter will bring a bite of shine and style to any look, casual or dressy. This style features soft metallic leather straps and a slightly padded insole. 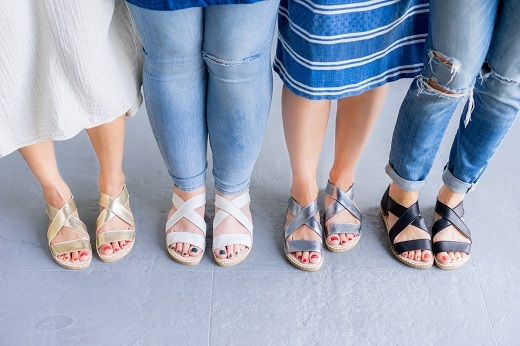 Laro Espadrilles are handmade in Spain and are crafted with high quality leather, traditional braided jute sole and a vulcanized rubber bottom sole.